One of the things I enjoy about riding my bicycle is being in beautiful scenery with nice music to accompany my ride. Now I’m not keen on being recommended for a Darwin Award so I don’t use headphones, instead preferring to use a Bluetooth speaker connected to my phone’s play list. 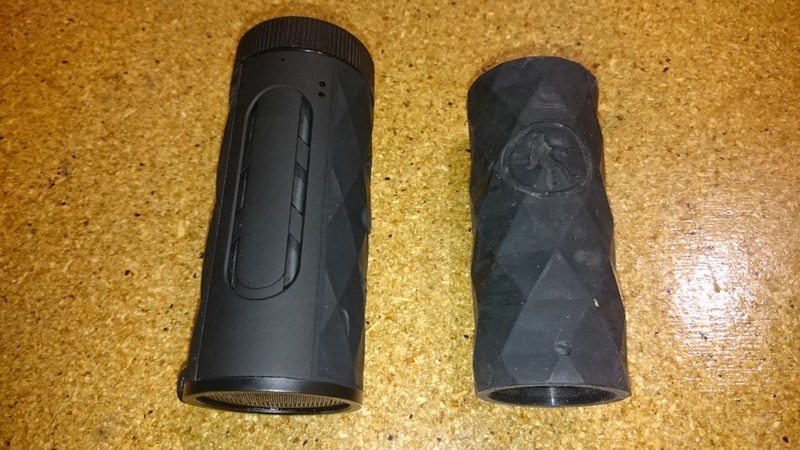 I’ve used the Outdoor Technology (OT) Buckshot for a few years and have been really pleased with it. Great sound and waterproof. When I saw that they had released a new version—the Buckshot Pro—with a torch and integrated power bank, I figured it was a must try. 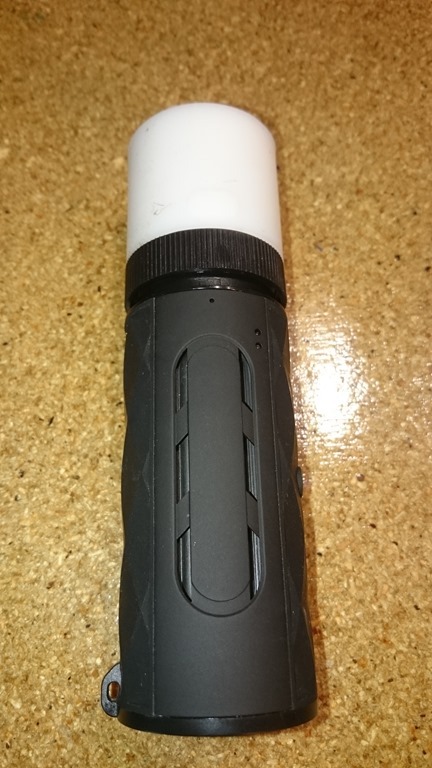 Initially I was disappointed because of its size: the pro is longer and of a larger diameter than the original. Also, the ports are exposed as opposed to being covered by a ‘flap’ (which I must admit I had trouble opening at times when I needed to recharge the unit). The torch is a nice design feature. It fits into the USB port on the en d of the Pro, and it tightened into place. It has three modes: lantern (for inside a tent), flashing and regular light. 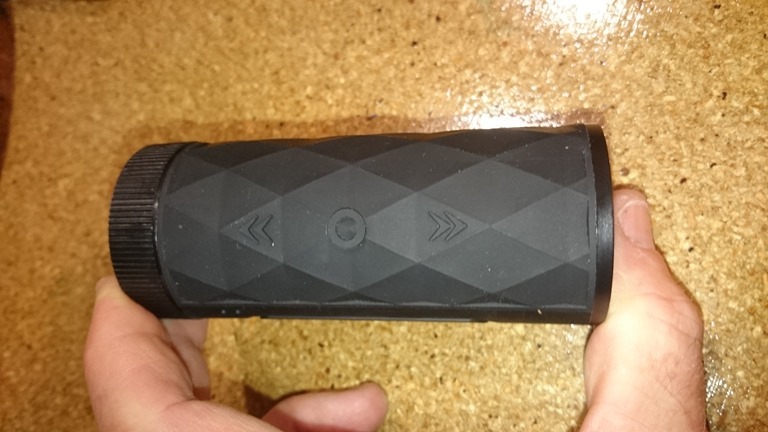 It is VERY BRIGHT and would serve as a good light (or backup) for your bicycle. One really nice design improvement are the control buttons. On the photo above you can see three small buttons on the end of the Buckshot. The top two are the volume/fast forward/rewind buttons; the middle one start/stop. These have been replaced by three large buttons on the Pro which makes it much easier to control the unit. It looks like this design had also made it to the regular Buckshot as well. The unit attaches to your bicycle with a simple silicon strap and so is easy to mount/dismount. The sound from the Pro is of good quality, and you can hear it while riding—as well as oncoming traffic! 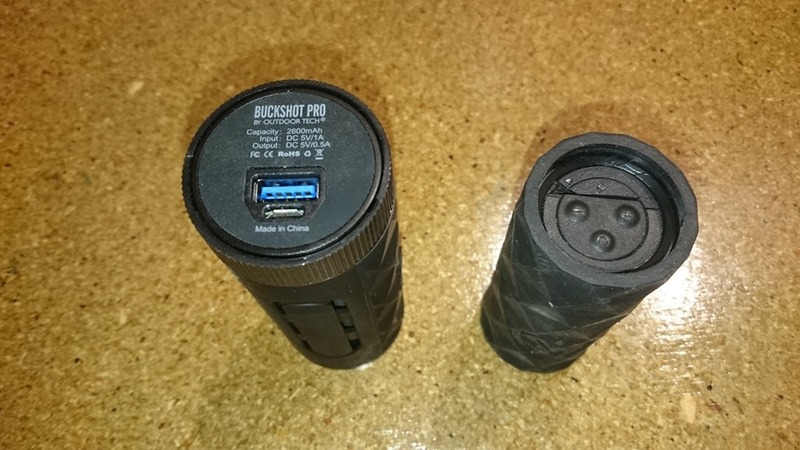 Considering it gives you the benefits of sound, is a really good torch/bicycle light, and will serve as an emergency battery, the Buckshot Pro is one piece of kit I’ll be riding with in the future.